The Numark Party Mix Pro is a professional DJ controller featuring a high-powered portable speaker, 2 decks and an integrated light-show. It is equipped with Bluetooth connectivity plus a 1/8" aux jack so you can easily connect an iPhone, iPad, laptop, or any other compatible device. Once the included Virtual DJ LE software is installed, you're ready to go - you can even charge your device on the go via the USB port. With two professional decks plus a crossfader for blending and scratching, the Party Mix Pro gives you full control of your music and you can access auto loop function, sound effects and sound sampling in Pad Mode. 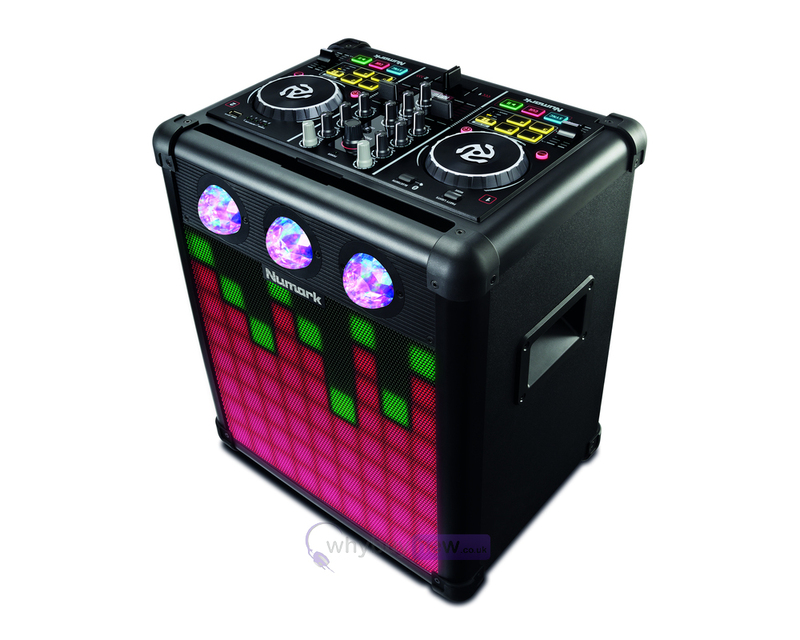 Perfect for creating a party atmosphere anywhere from your back garden to the beach, the Party Mix pro is fitted with vibrant sound-reactive lights that sync with the beat of your mix. Control your EQ with treble, bass, channel gain and master gain to customize your perfect sound. All the tools are right at your fingertips. Party Mix Pro is a snap to use right out of the box, and it has all the pro features to keep up with you as your DJing skills grow. 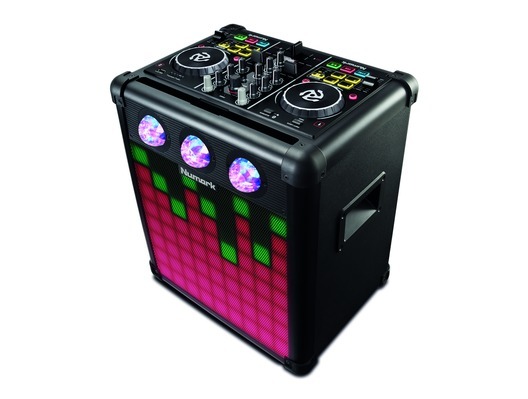 Party Mix Pro comes with Virtual DJ LE software to play music from your laptop. You can also connect it to your iOS devices with DJ Player Pro. Download card for software included with the Party Mix Pro! Here we have the Numark Party Mix Pro DJ Controller in new and manufacturer refurbished which will come boxed 'as new' with a 1-year warranty. Buy this amazing Party Mix Pro with confidence with 100% satisfaction guaranteed or your money back!